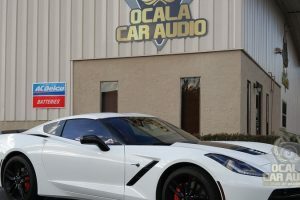 If you are looking for a shop with the knowledge and expertise to upgrade the safety, convenience and entertainment features of your RV, visit the electronics specialists at Ocala Car Audio. Our team has years of experience enhancing RVs with window tint, audio system upgrades, backup camera systems and much more. 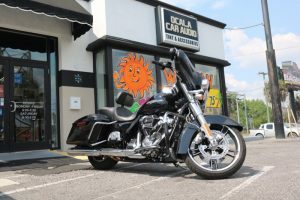 If a feature or technology is missing from your recreational vehicle, the team at Ocala Car Audio can likely add it. Upgrading your recreational vehicle with a heat-rejecting window film can block as much as 97 percent of the heat-producing infrared rays from the sun to ease the load on the vehicle’s air conditioning system. 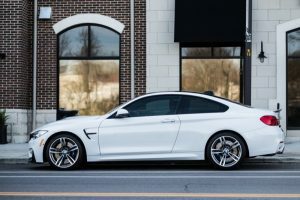 At the same time, our window film blocks up to 99 percent of UV energy to protect your skin from premature aging and keep the upholstery in your vehicle looking like new. If you rack up the miles on your RV, you may want to consider protecting the front of the vehicle with paint protection film. This transparent urethane film helps to prevent chips and scratches from gravel, stones, sand, dirt and debris. We can apply the film to almost any surface to help keep the exterior of the vehicle looking like new. If you have an older vehicle, adding a new multimedia receiver with built-in GPS navigation is a great way to make your next drive safer and more efficient. 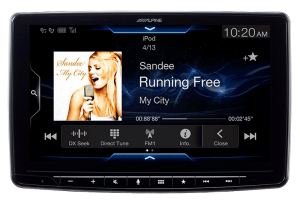 We offer a variety of source units that include Apple CarPlay and Android Auto smartphone integration, allowing you to use voice commands to make phone calls, send text messages or choose the entertainment you want. The amazing Alpine Halo9 features a huge 9-inch touch screen for an unparalleled big-screen experience. Of course, being mobile audio experts, we have an array of speakers, amplifiers and even subwoofers available to enhance the performance of the sound system in your vehicle. 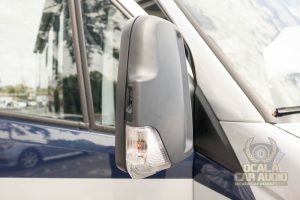 One of the most popular upgrades for campers and RVs is a backup camera system. We carry a variety of solutions that can make parking and maneuvering even the largest of vehicles safer and more efficient. We also offer camera- and sensor-based blind spot monitoring systems that will let you know when it’s safe to change lanes. Our Mobileye forward collision detection solutions will let you know if there is a chance of colliding with an approaching vehicle, cyclist or pedestrian. Mobileye also includes lane-departure warning alerts to help keep you on the straight and narrow. 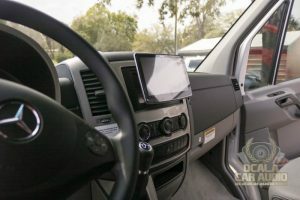 We invite you to bring your RV to Ocala Car Audio and speak with our team about any safety, entertainment or convenience electronics upgrades you are interested in. We have ample parking, and our lot is easily accessible when headed south on North Pine Avenue. 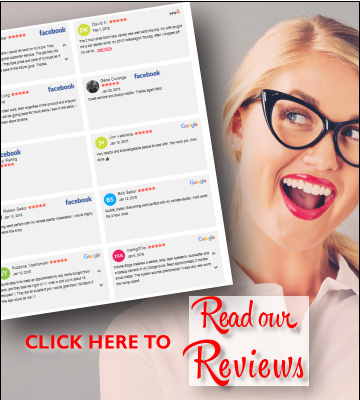 If you have any questions, give us a call or send us an e-mail using our contact page.